predeceased by her son, Norman, in 2015. She was also predeceased by her brothers and her sister: Archie (Dorothy), George (Heather), Bill (Muriel), Bert (Marion), John (May), and, Ella (Earl). 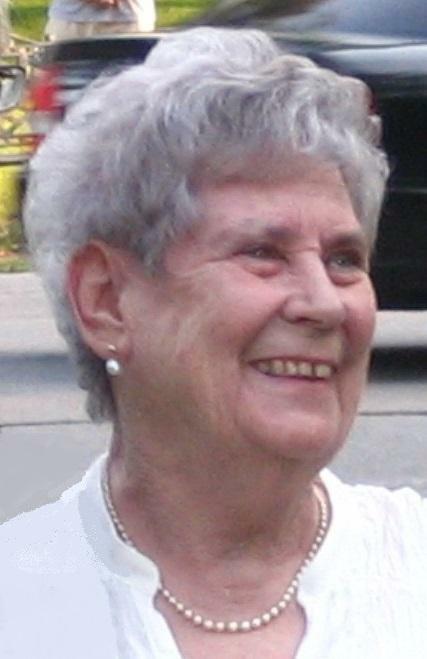 Anne loved her many years working with the Bank of Montreal’s Head Office and then enjoyed her retirement with Bruno at their cottage in the Eastern Townships. Friends and family have been sharing wonderful memories of happy times at the lake and at numerous family get-toethers. Anne is remembered as being welcoming, accepting, and kind. Above all, her sense of humour stood out. Anne could be quite a comedian, and if there was laughter at a gathering, she was most definitely at the centre of it. As per Anne’s wishes, there will be no funeral services. A private family interment will be held at a future date. the Magog Hospital, for their kind and compassionate care.